There is only ten days until Christmas. I can’t believe it’s coming up so fast this year. Christmas is always a busy time for any family but this year it seem to be coming at lightening speed. One of my favorite things to do for any holiday is set the table. 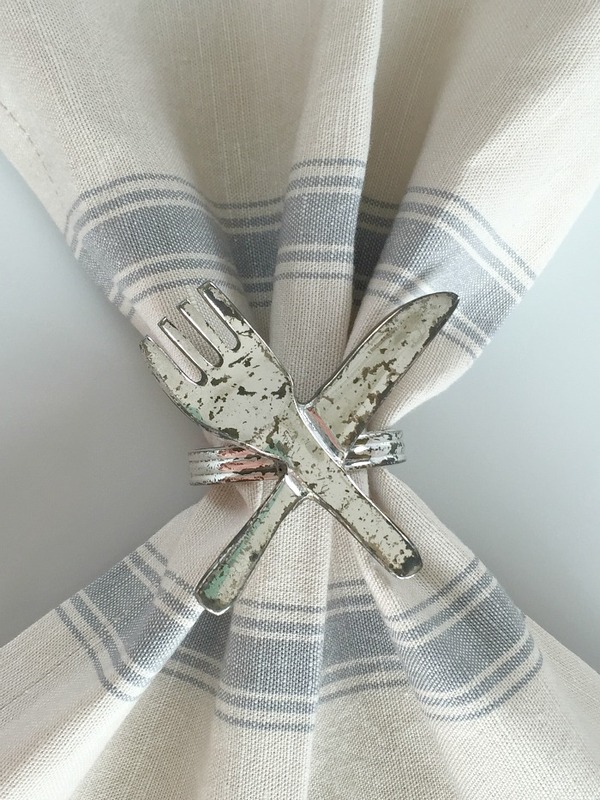 I have long been in love with tablescapes since I was little and wanted to know which fork or spoon to use first in fancy restaurant. Even now I can walk into a fine dining area and appreciate the styled tables before me. I adored an Autumn look to our Thanksgiving table setting this year, if you didn’t get to take a peak, please do and let me know what you think. 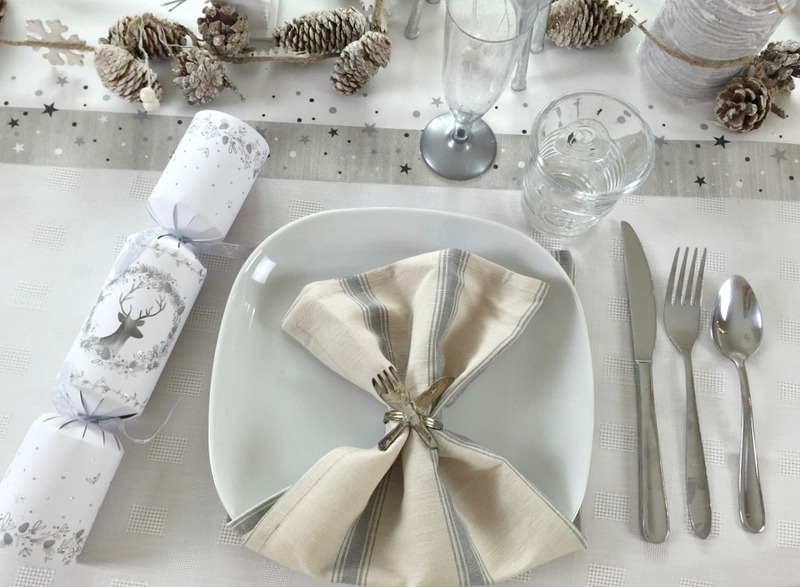 I was really torn between going for all white with a touch of red or all white and a touch of silver this year for my Christmas table setting. I am a huge fan of things mostly white and grey as my loyal followers will know. I love walking into different shops and finding things that I can use on my table as much as things from the craft store around the corner. I did have huge plans for making my own placemats this year but time got away from me. So instead I used larger linen napkins to follow under and then over the top of the plate that sat on it. I saw on pinterest people doing this with another plate or bowl on top of the fold. I love to create something from what inspired me to my own tweak on it so I added a napkin ring on the fold instead. I love how it made the linen napkins fan out. I placed little house ornaments in between my pine cone garland and two giant silver reindeer. I went for a reindeer, woodland theme this year even the crackers have reindeer on them which I was very excited about. When ever I am styling a tablescape for a holiday I think in terms of themes and color schemes first. 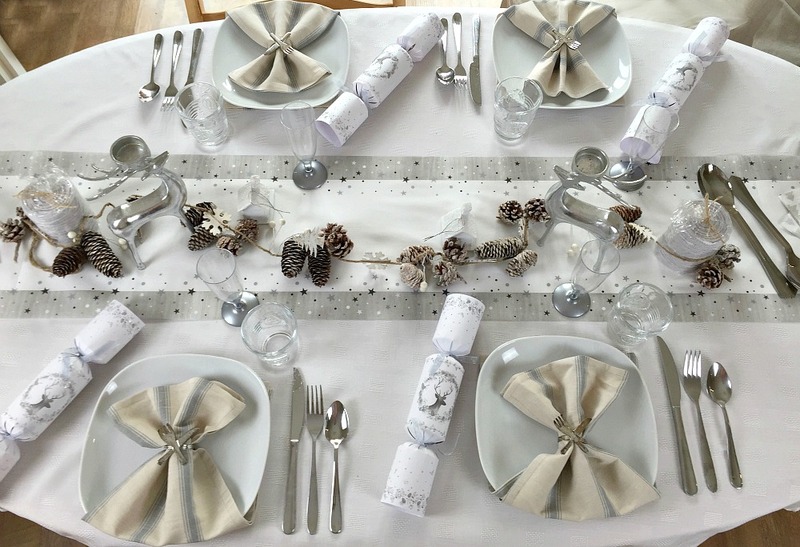 Here I had picked out the white and silver colors before I went looking for reindeers and woodland garland. It wasn’t my first choice either. Sometimes a plan doesn’t come out how you envisioned it and you need a plan b. My first plan was do to all white with fresh holly and tiny splashes of bright red but I couldn’t find what I wanted to bring this look alive so I moved on to my second choice. I was really pleased with how it looked. I wish I could style and set the table every night like this but I don’t think my toddlers would let it stay this nice for long. 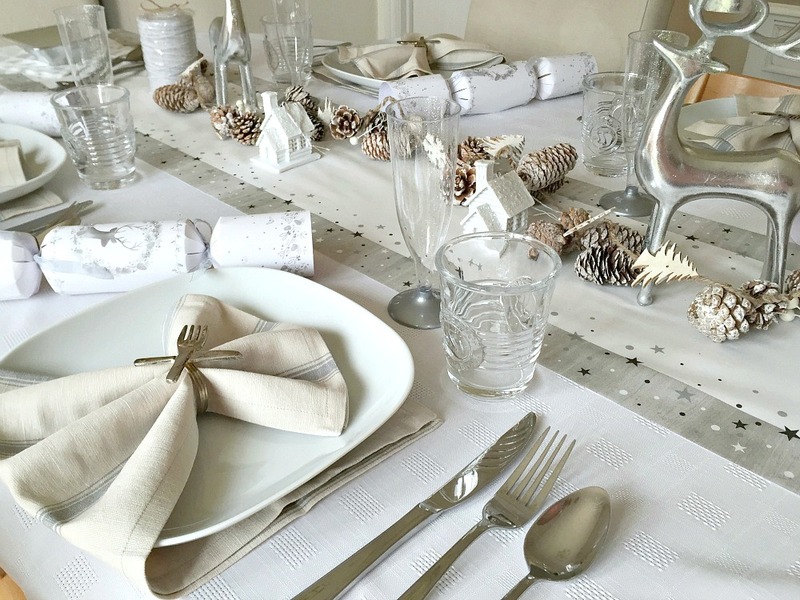 Tablescapes always make every holiday feel that little bit more festive and cheerful. It makes the table look inviting and keeps your guest there longer to chat and bond with family and friends. There is something so cozy about sitting around the table setting long after the food has been ate from your plates, laughing and catching up with the ones you love. 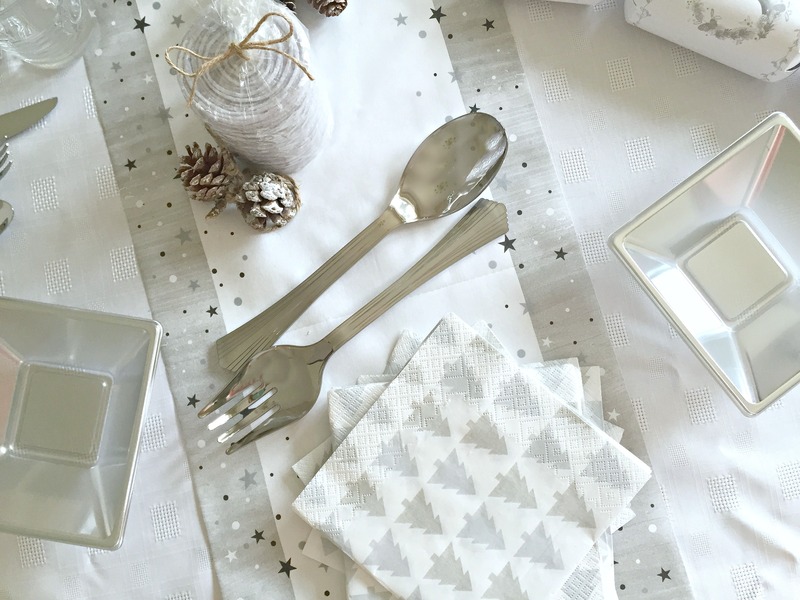 Do you ever set your table for the holidays or do you prefer to focus more on the food and baking side of it? Have you styled a tablescape lately, I would absolutely love to see, just tweet me or tag me on instagram using hashtag #lifecloseup so I can share your masterpieces too. 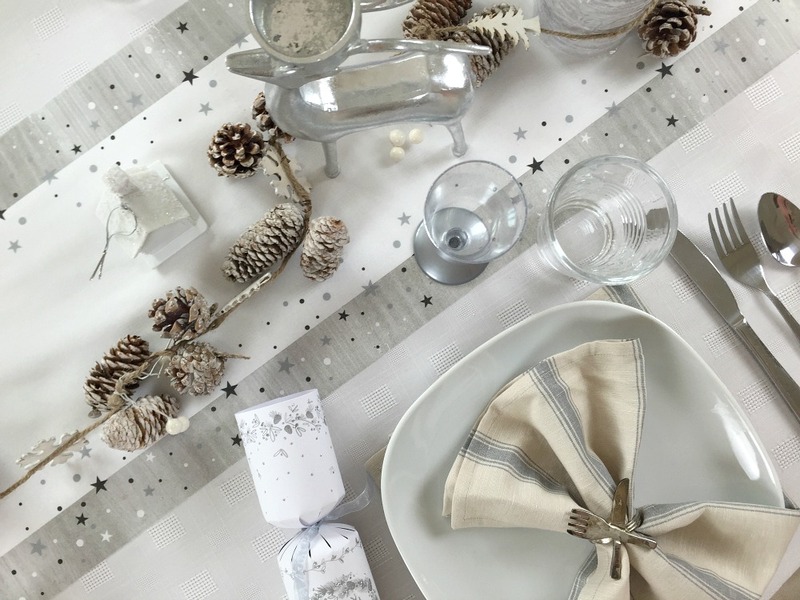 Do you like my Christmas tablescape theme this year? 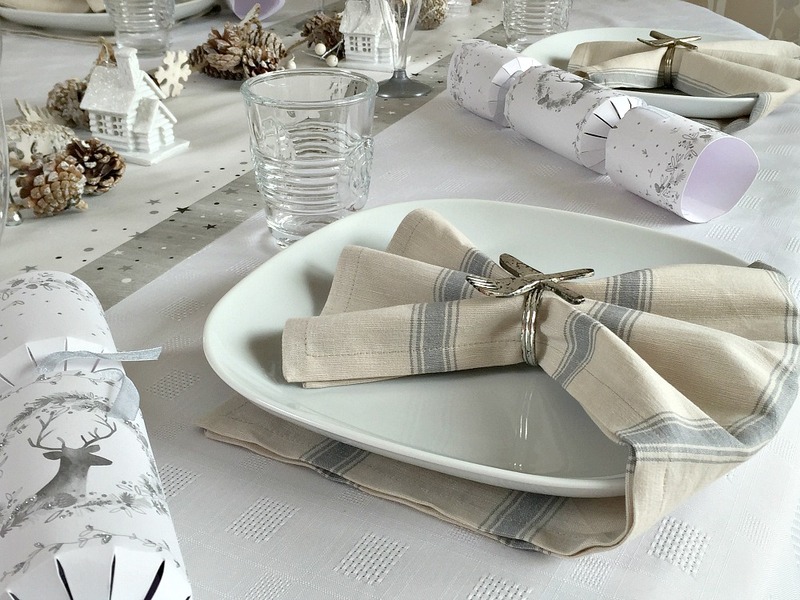 Don’t forget to pin it to your tablescapes board, don’t have one, go make one, there are thousands of table setting ideas to be inspired from already on there waiting for you. So beautiful! I love the white wintery feel. Love! 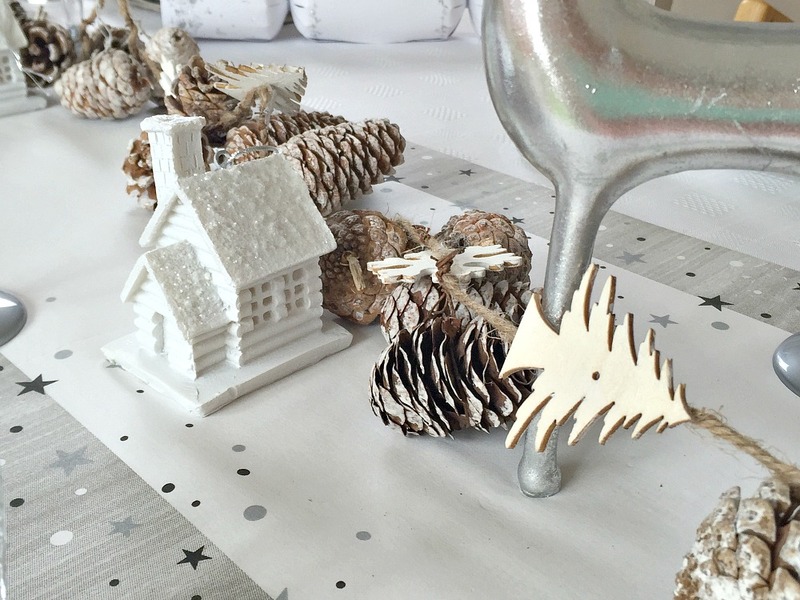 Have you seen the scatter stars that White Company are doing this year? They would tie in with your runner perfectly! Thanks for letting me know darling I will try to pop over. I am so busy trying to pack and get all work done for our trip to Ireland for the holidays next week. EEK Came up quick. First year I will be taking it off from work and no blogging too so I am very nervous and excited. Thank you so much Donna. It was so fun putting it all together. I absolutely love styling tablescapes.